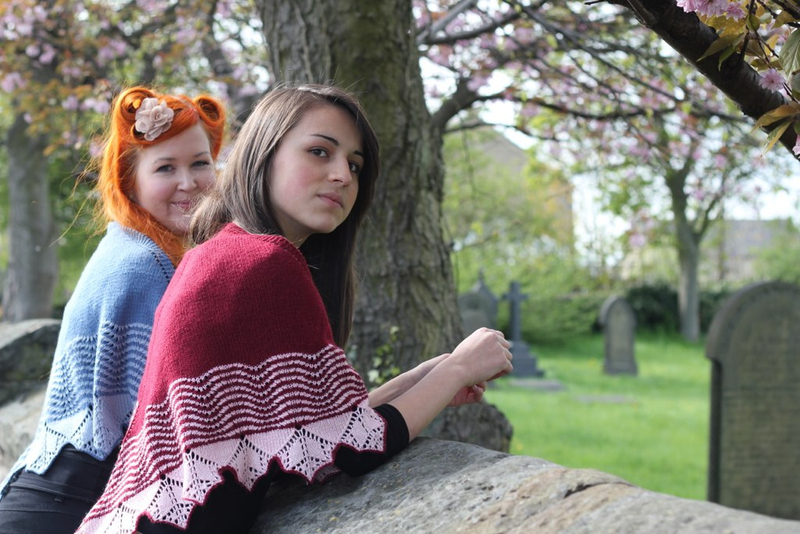 Featuring feather and fan stripes and a dainty lace edging, this shawl is a great accessory for spring days. 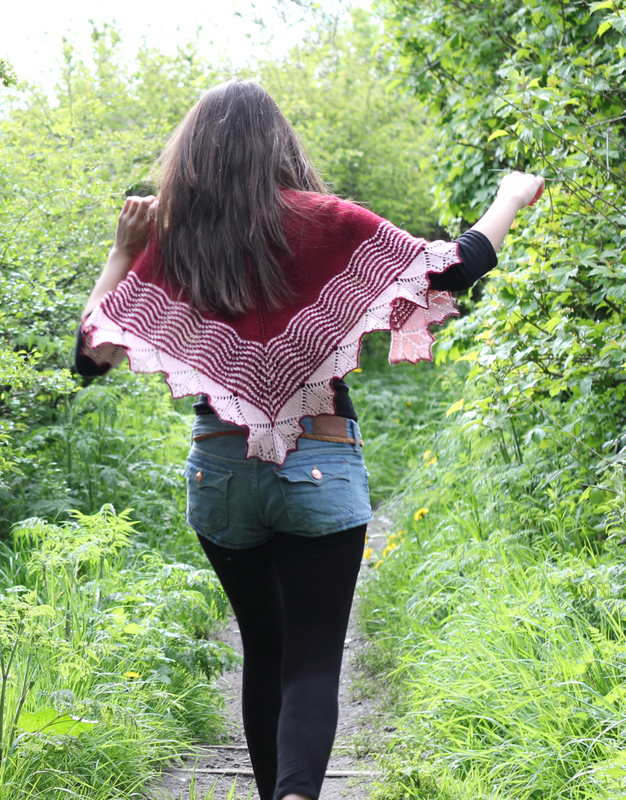 There are two versions of the shawl in the pattern. One for heavy 4ply/sportweight yarn, and one for DK yarns. Both versions of the shawl (sportweight and DK) are 50” wide by 28” deep after blocking. For the sportweight version you will need approximately 360 metres (394 yards) of the main colour, and 240 metres (262 yards) of contrast colour.For the DK version you will need aproximately 330 metres (360 yards) of main colour and 220 metres (241 yards) of contrast colour. 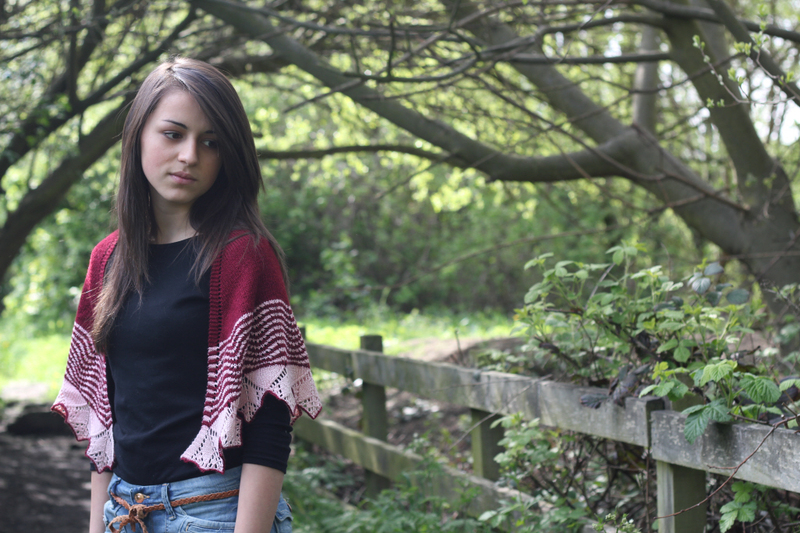 The pictured red shawl was made with Fyberspates 4ply Scrumptious. 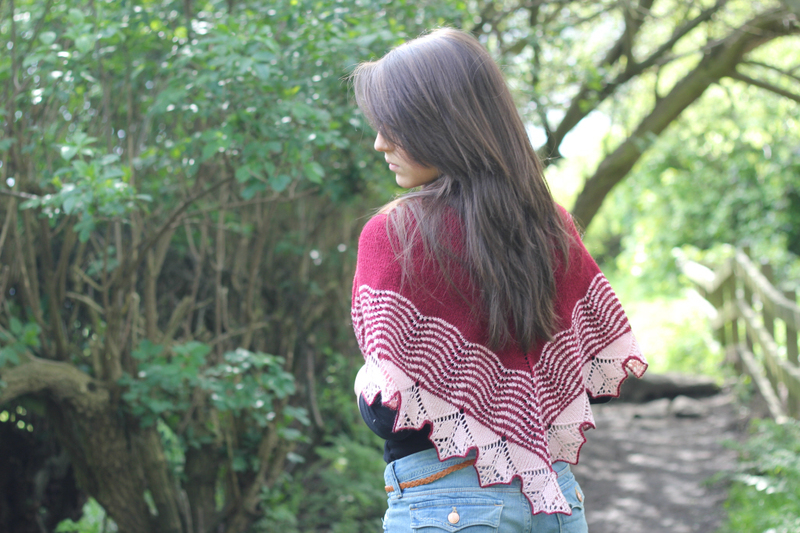 The blue shawl was made with Debbie Bliss Cashmerino DK. Blocked gauge for the sportweight version is 22 stitches and 36 rows per 4 inches/10cm. 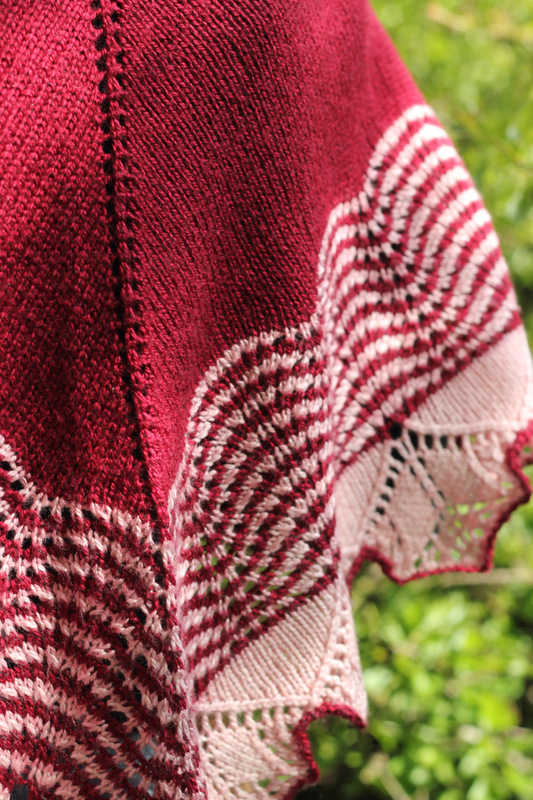 Blocked gauge for the DK version is 20 stitches and 28 rows per 4 inches/10m. Suggested needles are 3.75mm/US 5 for the 4ply/sportweight version, and 4mm/US 6 for the DK version. This was so easy to knit! 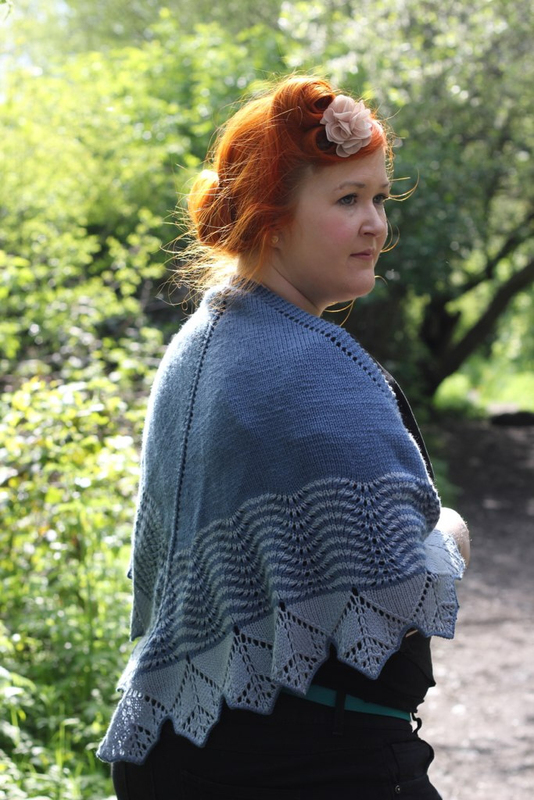 I knit the blue sample pictured, and love how the feather and fan pattern worked in 2 colours, plus the lace edging is so pretty worked with the contrasting cast-off. 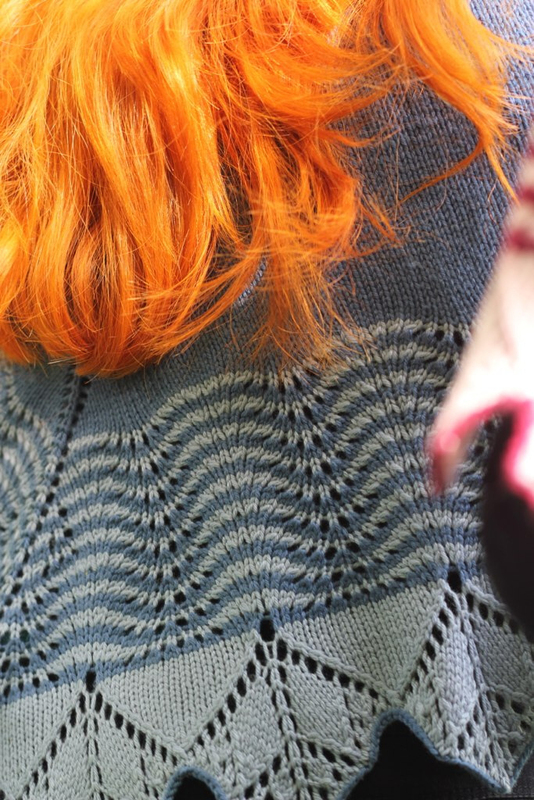 I also loved that it was knit in a single piece. Altogether wonderful!